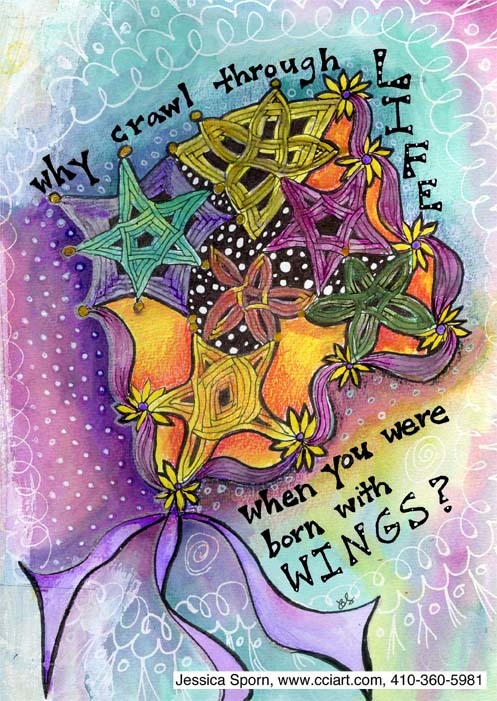 Jessica Sporn Designs: Why Crawl Through Life When You Have Wings to Fly? Why Crawl Through Life When You Have Wings to Fly? I woke up today with every muscle in my body aching. Yesterday I participated in the Garden State Yogathon. Garden State Yoga is is the studio where I teach, and the studio gathered together teachers from all the area studios for a 12 hour yogathon (YES - 12 hours!) to raise money for 3 charities. My team raised money for Off the Mat and Into the World. The Yogathon was very successful -- we raised over $30,000 for three terrific organizations. Here are some pics (that's me in the pink top!). Inspiration Avenue's challenge this week was to do a design inspired by "flight." The question posed was what do you think of when you hear the word fly or flight? My first thought was "Let's Go Fly a Kite," from Mary Poppins. I know it's not a particularly profound or deep association, but I over the years, I have watched Mary Poppins about 30 times (I have 2 daughters - 21 and 11! ), so a kite is what immediately popped into my mind. I had been wanting to work more on auraknot for the Diva's challenge, and this prompt inspired me to create a kite from that tangle. As for the saying, my yoga philosophy has taught me to look at everyone around me as a holy angel, sent from "command central" to either show me the way or, through difficulties, teach me a valuable lesson. As my teacher says, once you see everyone around you as an angel, you're an angel too. 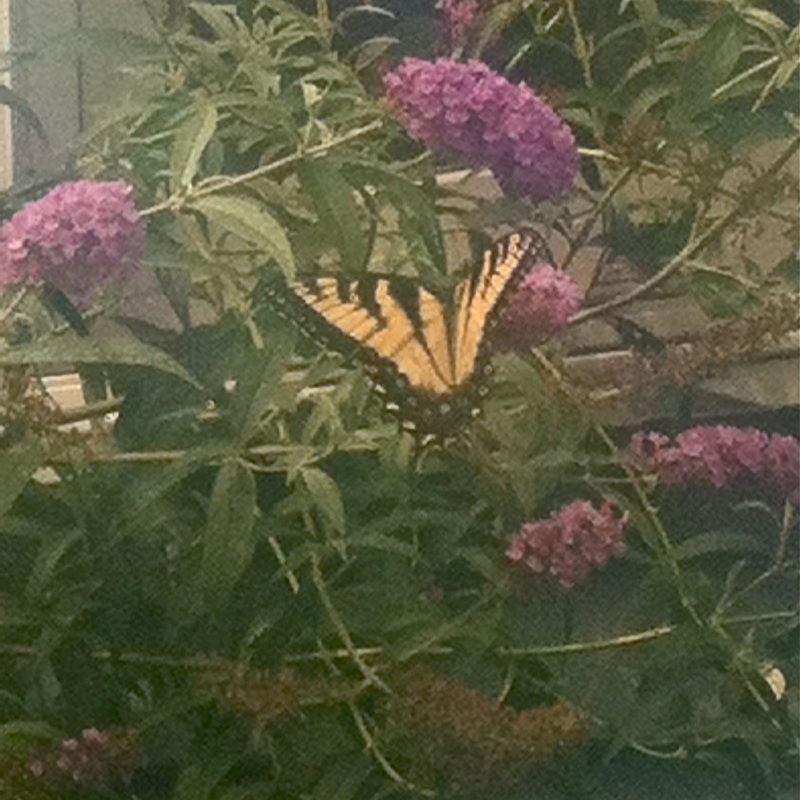 (Here's a video link for seeing the divine in your everyday life.) So "why crawl through life, when you were born with wings?" 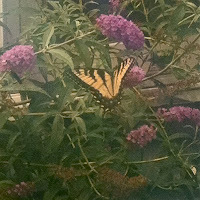 Here's a beautiful butterfly that was on my buddleia bush yesterday - a reminder that we all have the potential for flight inside of us. In all the little drawers are designs created from my illustration work. 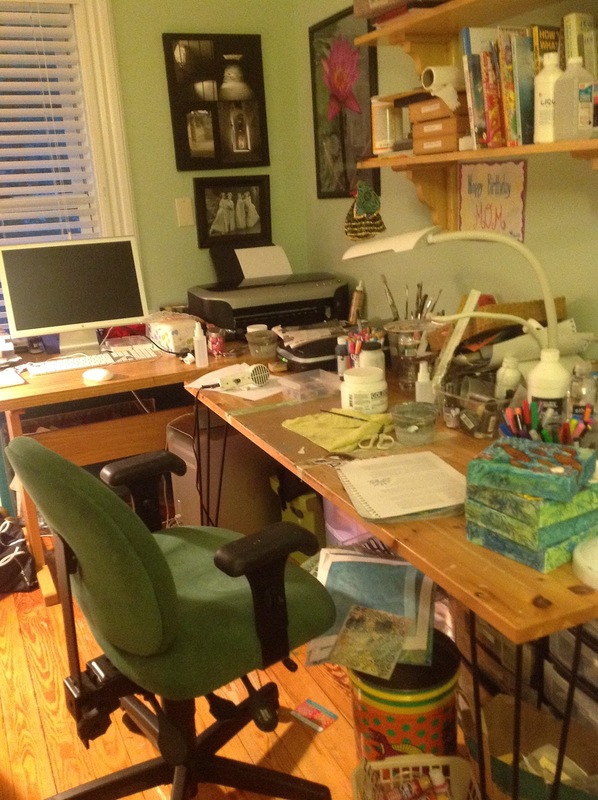 You can see stencils spilling out from some of the open drawers under my table. Most of the books are reference books in different styles, and I have a lot of books about Jewish history, art and symbolism since that's a big part of my licensing work. A big clean up is clearly in order! Finally, thank you to Scrapping the Music, for naming me the winner in Challenge #202. I am very honored. If you haven't done STM challenges, the next one was just posted and involves the song "Somewhere Over the Rainbow," and/or a song your mother sang to you. I highly recommend visiting them and participating. Song lyrics are such great creativity prompts! Let me know if we're in any of the same workshops! 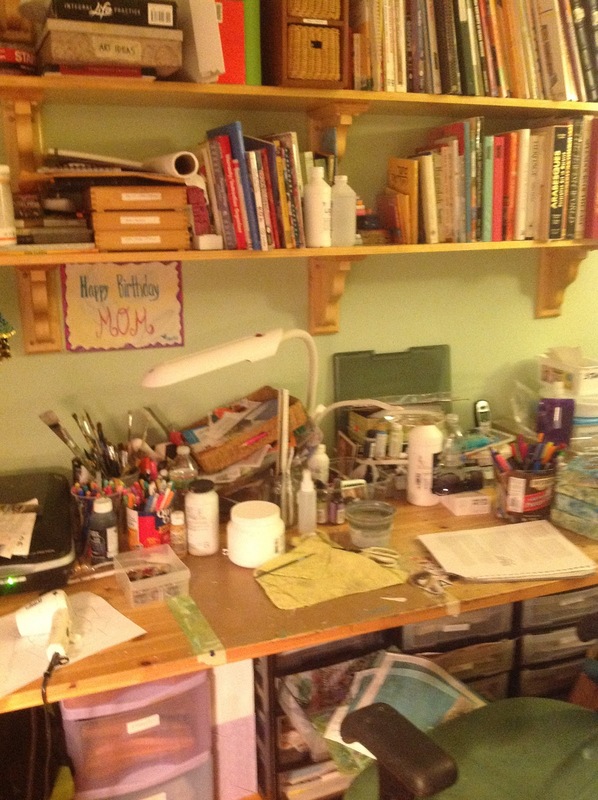 It looks like a fun place to create...with all your inspirations out and ready to play with! So glad you shared some pic's. Have a peaceful and relaxing Sunday. Your ability to always give a full story to your challenges....not just a thought, is so inspiring! Your illustrations are fabulous, so vibrant, and your family is beautiful too. 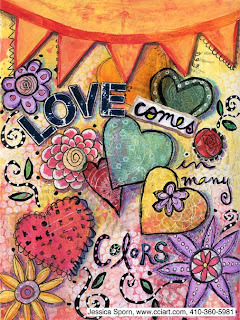 Beautiful and inspirational art journal pages, Jessica! I love the fly a kite one so much - one of our favorite movies of all times in our household! And the second one - your description brought a tear to my eye when I read it! Thanks for sharing these with us!! Wow--what a content rich blog entry! You sound like a facinating person, and reading all these snippets of your life, woven so beautifully together, makes me wish we lived in the same community. Well, at least we dwell within some of th same web circles! Your art is beautiful and joyful. I love Mary Poppins...my daughter, who turned 14 yesterday, used to watch it all th time and for a little while thought that Mary Poppins was ME on the screen! I have never been so flattered! Have a wonderful birhday! Enjoy the retreat! Love your studio! 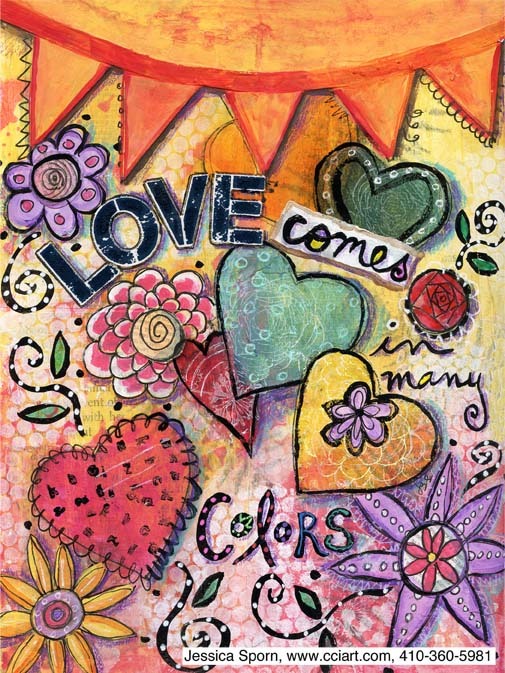 Love your gorgeous, colorful kite! Jersey Girls Rock!!!! WoW!!!! Good for you....yoga marathon......sorry for your soreness......I an sure it was worth it!!!! I have to look up Create New Jersey.....now.....I love being proven wrong when I think there are not enough artsy things going on in NJ.....the rockin' state (I think I just made something up.....that's worth remembering)......rock on!!!!! I love the texture that you showed on the kite - the colours are beautiful. What a lovely piece. Lots going on here! Congrats to Codie! Wow- 30,000 is a huge sum of money- your sore muscles were for such a good cause! 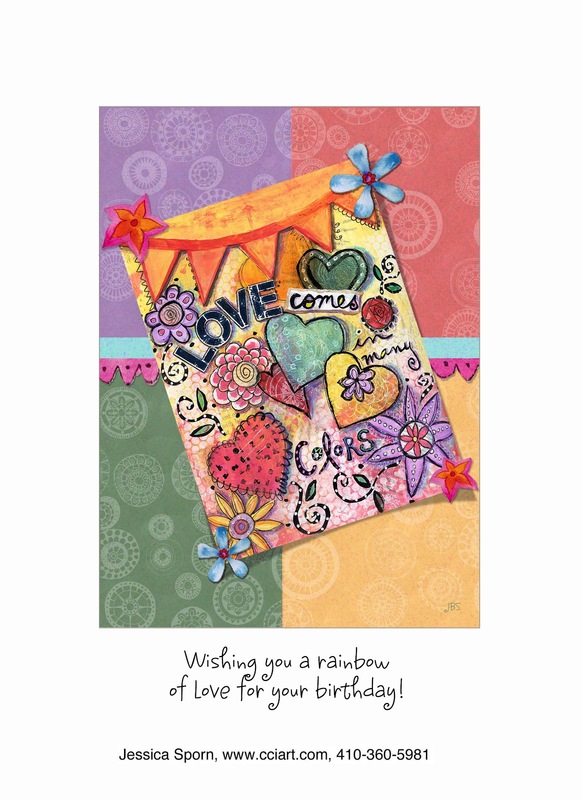 Your art journal is fabulous! See you at CREATE! Love your colorful creative space. Your art is just beautiful! But I noticed from your post that your heart is ever prettier, congrats! Thank you for sharing your inspiration. thank you to everyone for the sweet comments and observations. I look forward to posting after CREATE! Thank you for the tour of your creative space! I adore the bank of drawers.... so awesome! Wow, Jessica! I am so impressed by so many things in this post. I'm so glad you linked your blog up to the Moxie Fab World Blogroll. It will be great to stop by and say "hello" from time to time! Thanks cath. Hope you're recovery from shoulder surgery is progressing. I had rotator cuff surgery in 2008 and the recovery from it was one f the most challenging experiences I've ever had. But since then I've had full use of a pain free shoulder so it was with it! I am the same way - creative chaos? I like it, LOL. 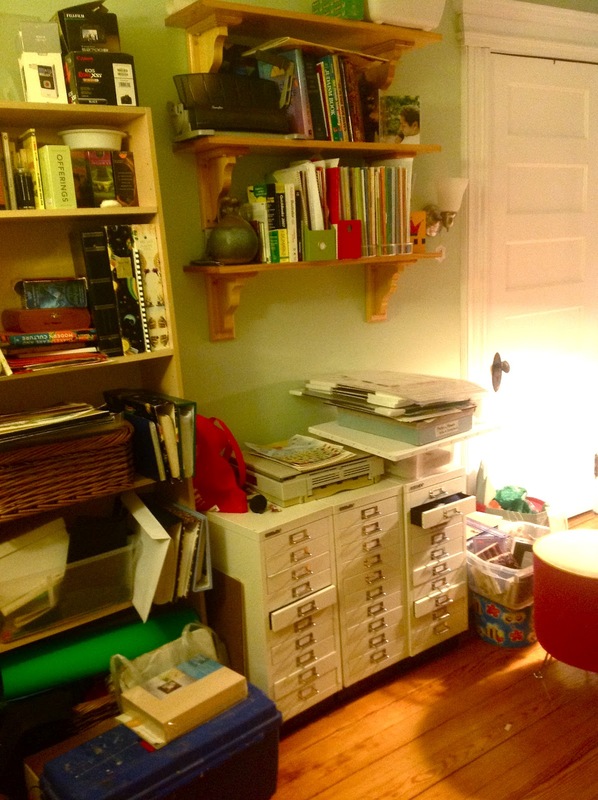 I did clean up right before the blog hop because things were out of control! However all it takes is one project and I am back to the chaos! Oh well! I love that green on the walls! I'm still visiting studios - Love your work! Love your setup - all so close and organised and the green on the walls is so peaceful. I'm now off to look at more of your blog your drawings are wonderful!